This article about the Katy Trail was brought to you by our friends at Matador. They designed an ultra-light packable backpack that can hold all your stuff, or scrunch down to a tiny size and go along for the ride. The Katy was the nickname given to the Missouri–Kansas–Texas Railway until 1988, when it merged with the Missouri-Pacific Railway. That left some old lines available for conversion from rail to trail, and opened up all sorts of possibilities for campers, hikers, and bikepackers. A few cities have turned their stretches of the Katy line into something new. Dallas, Texas has repurposed a portion of the old Katy Trail into a paved path for joggers and cyclists, for example. It’s not uncommon to see fitness fanatics walk straight off the trail to cool down at The Katy Trail Ice House, a beer garden with slammin’ Texas barbecue, cold margaritas, and fans that blow cooling mist on patrons. You can even try out goat yoga on the Dallas Katy Trail or run the Michelob Ultra Katy Trail 5K if you aren’t afraid to sweat. The real magic of the Katy Trail happens further east, however, where the state of Missouri has converted not just a piece of the Katy, but the whole span into the country’s longest rail-to-trail conversion. It runs for 240 miles at just a three-percent grade from St. Charles, Missouri to Clinton, which is just shy of Kansas City, Missouri. 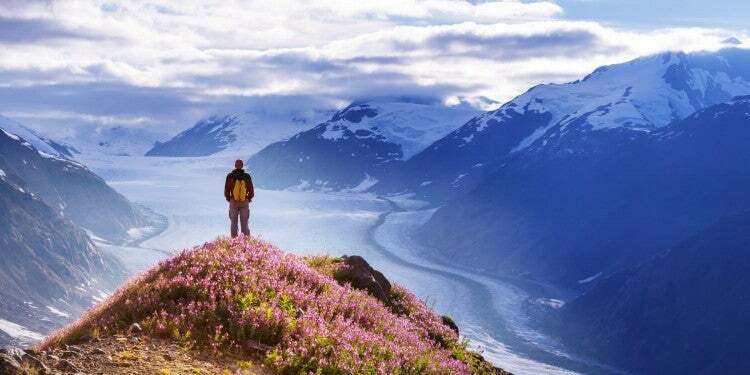 It’s a popular destination for both hikers and bikepackers. Bikepacking the Katy Trail means following in the footsteps of Lewis and Clark as they traveled west — with the benefit of the modern bicycle and moisture-wicking gear. You can also branch off on to numerous side trails that connect, or combine with other routes, like Adventure Cycling’s Lewis & Clark excursion or the American Discovery Trail, both of which overlap with parts of the Katy. 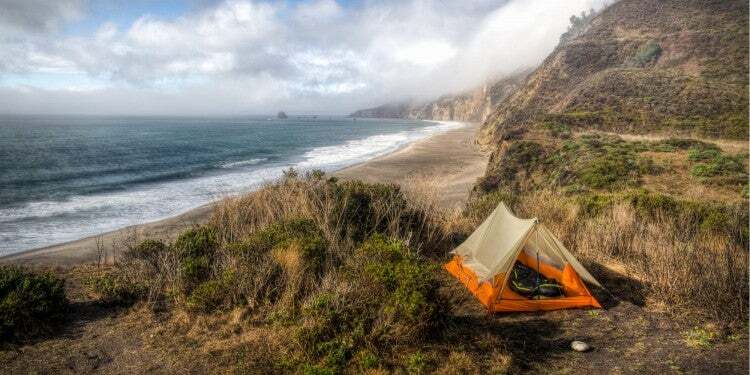 There are 27 official trailheads along the way where you can resupply and rest up. 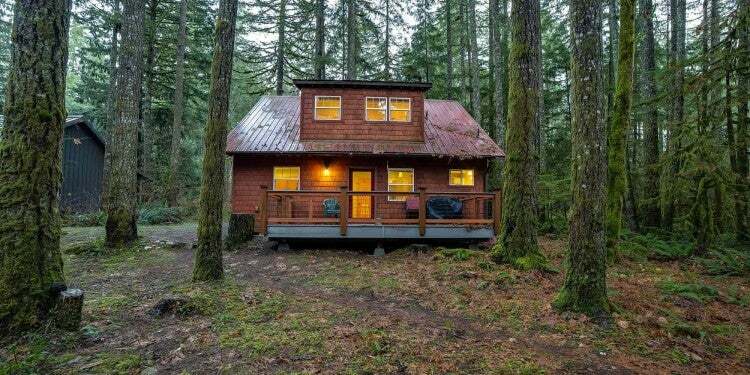 You’ll find plenty of small town Americana, scenic countryside, and the occasional bed & breakfast if you get tired of camping. 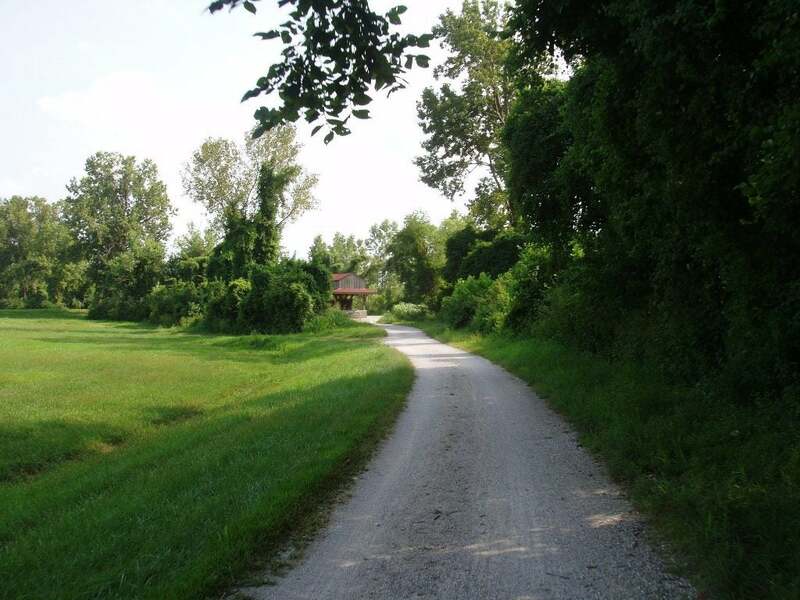 Many campgrounds along the way are basic dispersed sites or smaller county campgrounds that exist largely to support the Katy Trail. 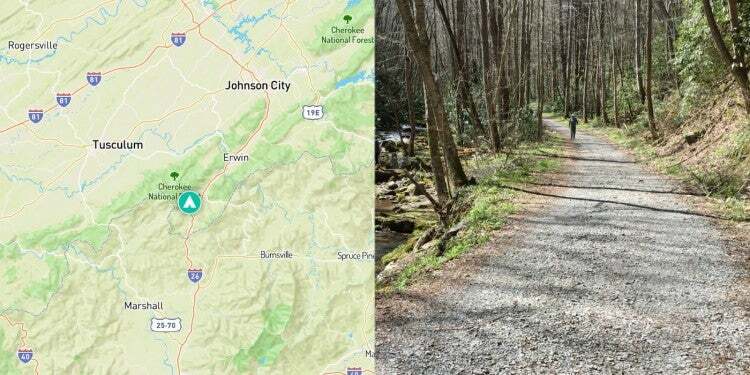 Unlike longer, more remote trails like the AT and PCT — developed with thru-hiking backpackers in mind — the Katy Trail runs a little closer to the small towns that originally developed as the railroads pushed west. 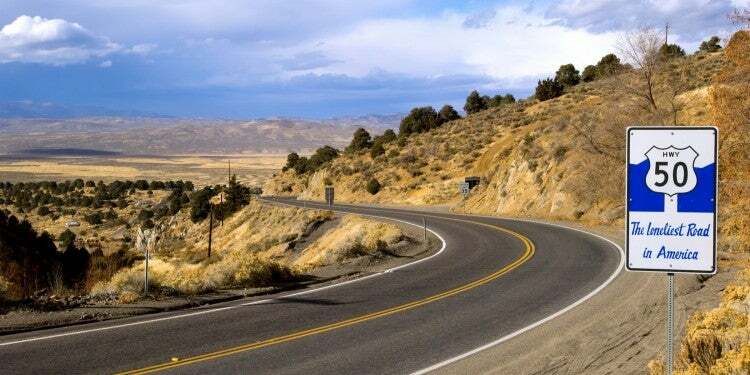 That means that some of the campgrounds on this list offer fun perks, like shuttles to wine country or easy access to charming country towns that boast all kinds of historic and cultural destinations. Start your bike tour with two aptly-named diversions. First, grab a pint at Trailhead Brewing Company, which also has plenty of barbecue and pub fare to fuel your ride. Next, swing through the Foundry Arts Center, which got its name from the space’s former life as a train car factory. There are also numerous farms, some even a century old, where you can stop to puruse the orchards or even pick your own berries. Bringing along a packable backpack will let you pick up fun supplies and souvenirs along the way like cans of beer, fresh fruit, or a new book, without weighing you down too much. Take a break from peddling to pop by the Weldon Springs Interpretive Center to (safely!) learn how hazardous materials are disposed of and contained. If you get your fill of grapes at the numerous wineries doting the Katy Trail, pull over at August Brewing Company for a cold beer. Restaurants like Abigails are popular with Katy Trail riders, too, as is the Bistro at Les Bourgeois winery. As you wind your way along the Missouri River, which much of the Katy Trail follows, you’ll also be treated to the unique geography of the Ozarks, including towering limestone cliffs. When you make it to the end of the line, you might wonder how to get back to your everyday life. Fortunately, you don’t have to bike all the way back east (or west, depending on which direction you went) or rely on a friend to pick you up at the finish line. Although the Katy Trail converted railroad tracks to double track, that doesn’t mean there isn’t a train still running through Missouri. 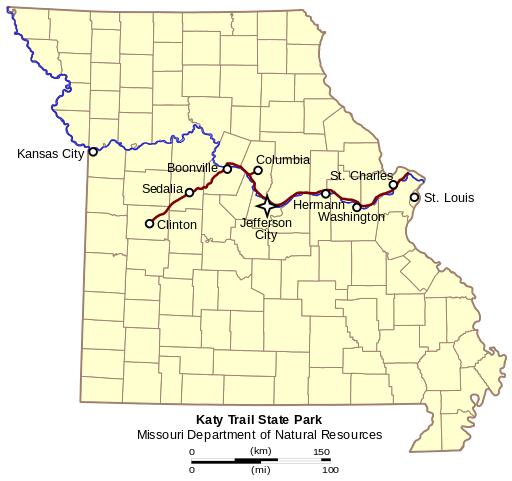 Amtrak’s Missouri River Runner line goes from St. Louis to Kansas City, and you are allowed to bring your bike on board. 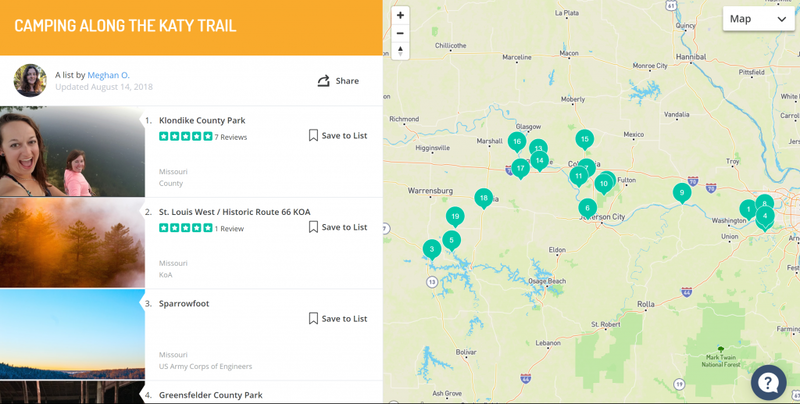 That means you can coordinate your thru-ride or Katy Trail sections with Amtrak’s stations and schedules to turn a bikepacking trip into something even more epic. Find out for yourself why they call Missouri the Show-Me State and take your wheels to the Katy Trail.